With greater transparency, immediacy of information and a growing array of channels to review and to promote products and services, customers are empowered like never before, and businesses are increasingly acknowledging that great customer experience or CX, is a critical deliverable. Over the last 10 years of my corporate career, I was focused on working with a range of clients on innovation and creativity, helping them harness new ways of thinking and problem solving to unlock value and build competitive advantage. One of the key methodologies which has been broadly adopted to drive innovation is Design Thinking. In the words of Tim Brown CEO of IDEO, recognised as one of the leading innovation and design firms, Design Thinking is a “human-approach to innovation that draws from the designer’s toolkit to integrate the needs of people, the possibilities of technology, and the requirements for business success”. A critical component is building empathy for a customer’s problems and pain points. Many of those reading this article will be familiar with the methodology and have no doubt adopted it within your organisation. Since moving from a global corporate role to establishing with my wife a vacational learning business Creative Cities 21, I’ve developed an even greater respect for the criticality of focusing on Customer Experience. In fact, I am living it each and every day. I’ve had conversations with literally hundreds of people about our business and our vision. 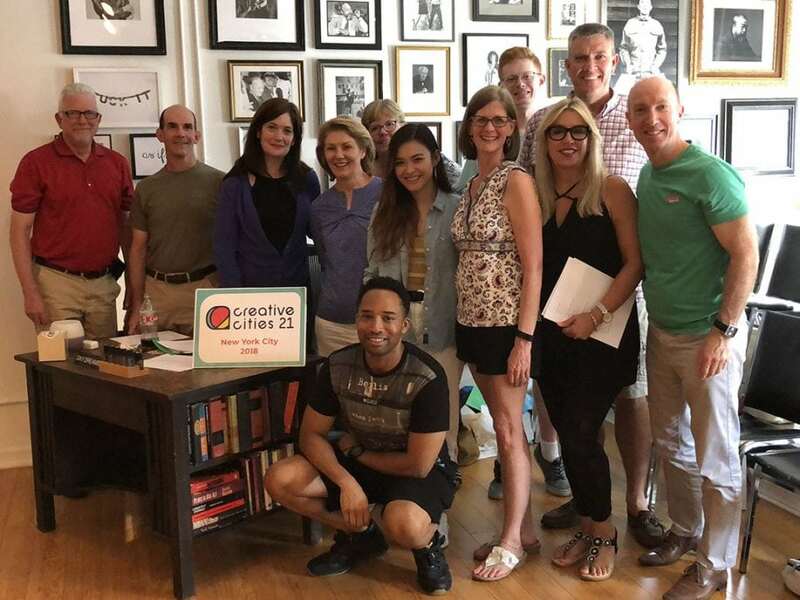 I’ve shared why we think providing people the opportunity to refresh and recharge through creative learning experiences is such a powerful tool to build creative muscle and resiliency. We’ve spoken with worn out executives looking for a more holistic approach to wellness, parents looking for a chance to take some time out for their own personal growth or fulfillment, to people who just want the chance to have a fun, impactful holiday experience. We’ve spoken to a range of journalists, travel agents, academics and service providers. We’ve had lots of input from family, friends, work colleagues and connections from across the different areas of our lives. The questions, ideas – and sometimes challenges, have been incredibly valuable. 1. There is no substitute for hearing the voice of the customer, directly from the customer – you need to get out and speak with and listen to people. To hear how they talk about the program they just experienced, or how prospective participants speak about the category or services you offer. To understand what they think, but more importantly how they feel. To be an active listener and observer. To hear the language they use, to watch the non-verbal body language and to really get a sense of where there are opportunities to better help them live the life they want to live. And most of all, respect and thank them for their time and honesty. 2. Customer experience begins from the first touch and ideally becomes a relationship not a transaction – While individual interactions with a company have varying degrees of impact, it is the combination of those experiences that will dictate how we feel about a brand or business. From day one we have focused on being true to our brand values whether it is dealing with customers, potential customers, suppliers or influencers. We have focused on building relationships which matter to all the people we come into contact with, not just us. We have acknowledged that as we are building a new category we need to be open to lots of questions, be responsive and deliver on our longer term, while we deliver on a day to day basis. 3. People are empowered and expectations are high – People understand that businesses have a range of tools to gather insight and tailor their offering in order to deliver a better experience. Digital channels that clearly communicate the value you offer to the user and provide information in a way which is easy to understand and digest. A range of contact channels including online help so that people are acknowledged when they take the time to visit your site or contact you. Customers are looking for speed, ease and information that matters to them in a way which is engaging and suits their needs. Ultimately, our journey to date has reinforced that empathy, openness and inclusiveness are fundamental to bringing human centred design to life. Ultimately, it is about building relationships with people who want to do business with you because of how you make them feel and the value it adds to their life. If you work in a corporate environment, or are running your own business, I’d love to hear your thoughts and how you are embracing CX in your business.